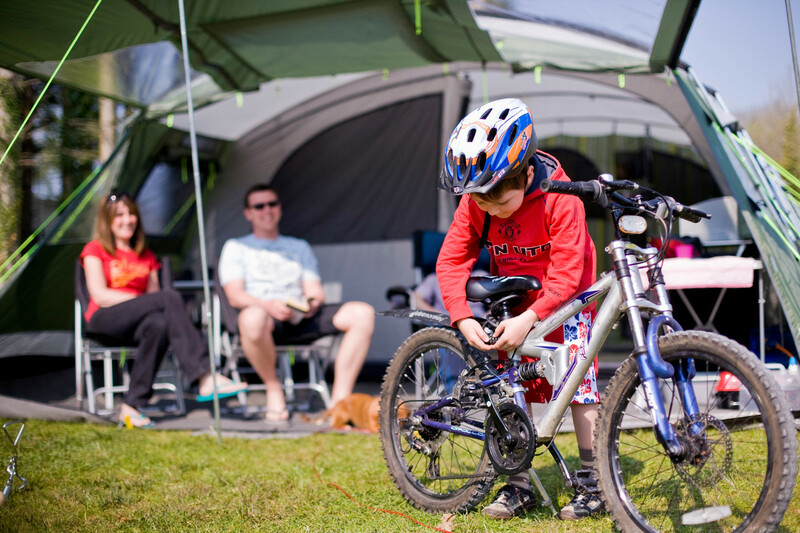 Nestled in the leafy suburbs of Castlereagh, Dundonald Touring Park offers a calm and peaceful location for caravaners and campers. The site is located five miles (eight km) from Belfast, providing visitors with the ideal base for exploring the city and the scenic County Down coast. 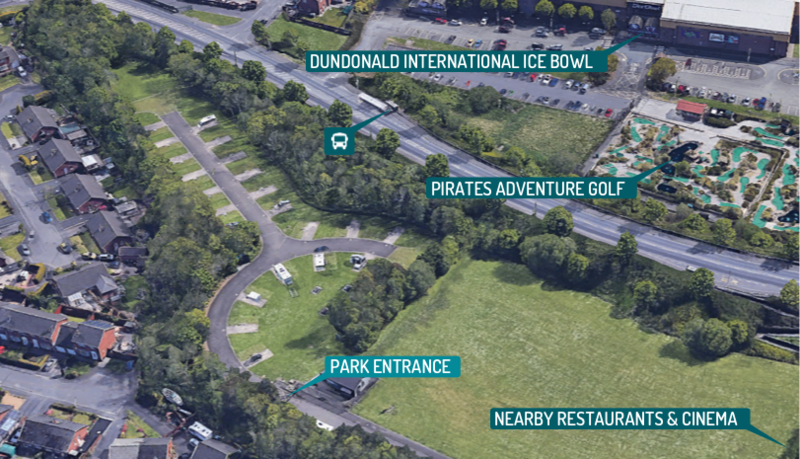 Dundonald Touring Caravan Park is open as a fully serviced Park to the public from mid March to the end of October. An Aire de Service Facility is available throughout the winter months from November to mid-March. ""Nice clean campsite close to Belfast. Great selection of restaurants/coffee shops nearby and cinema and ice rink. Cycle path close by which takes you into Belfast in one direction and to Comber in the other direction. Have stayed here several times and will be back...""
"Great site, love the ease of access with the gate code. Level plots well spaced with warm amenities block and great showers. A regular bus service runs into town from the main road, would stay here again for Belfast." "Ideal location. Stayed for one night at end of October at the beginning of our trip around NI. Keypad on gates and facilities building made us feel very comfortable about leaving the van unattended - highly recommended!" "This is a great site and very convenient to restaurants and local transport." "Lovely clean facilities. Friendly helpful staff. Ideal for children. We will be back." 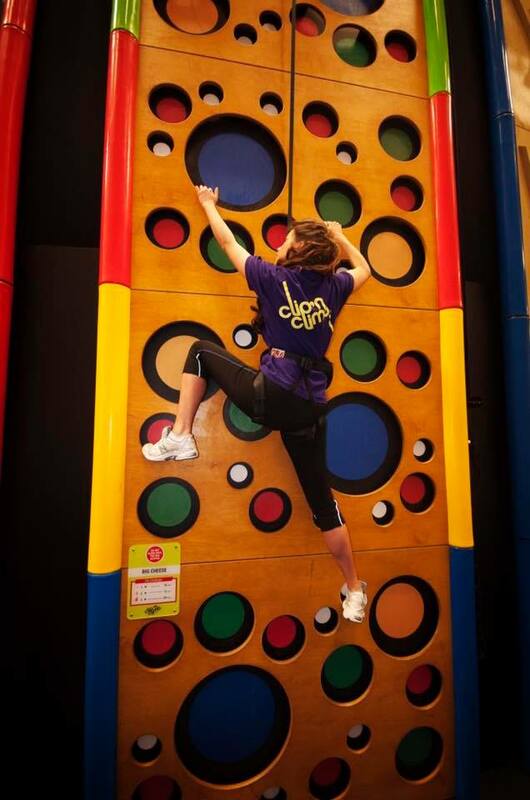 "We have stayed at this park numerous times and find it ideal for visiting Belfast and surrounding areas and is super!"